Spring in #WurmOnline – Nomadic Gamers, eh! 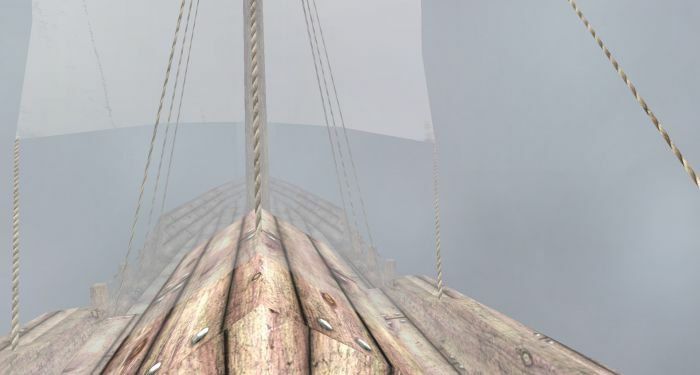 Ah, spring in Wurm Online where the fog rolls in thicker than oatmeal. Pictured above is my poor corbita, actually moored at that exact moment because the fog was so thick I couldn’t see the shore and I had absolutely no idea where I was going. I think at the time I was just trying to get back home with a boat load of items. I love the fact that Wurm has seasons, and I enjoy that these seasons are on their own schedule, and won’t always match the RL seasons. I get enough snow in the winter (actually, this year I didn’t, but that’s neither here nor there) and it’s great to have a bit of ‘winter’ when it’s summer and I’m melting in the living room. Very few games have dynamic weather systems such as the one Wurm makes use of, there are massive storms that roll through, you’ll see the sky darkening and clouds move in. It’s great. Along with these awesome weather patterns are harvests specific to the time of year it is. Olives just passed, and I’m eager for it to be maple season once again. Olive oil is used to make compasses, and maple sap can be boiled to make maple syrup. From there you can use the syrup in a number of recipes. Lemons, apples, and cherries all have their own harvest times, as well as grapes and a number of other plants with healing properties. It’s just one more complex level added to the game, and one I simply can’t get enough of.